Being one of the cosplay photographers who took part in the official Anime Expo photo-booth this year, I have to say it was probably one of the most memorable experiences I have had ever since taking up cosplay photography. Aside from all the fun I had, shooting the booth itself was quite a daunting task, and an experience that I’d like to share with you. Knowing the advantages of backdrops, let me break down the whole process of how I went about shooting the gray backdrop photo-booth at AX. Aside from our struggle to pool together available gears (e.g. light modifiers), I wanted to try to imitate the lighting Artgerm uses in many of his drawings. In particular, the kind of setup that has a big, soft light at the front to light the subject, and a back rim light on the opposite end of the front light. Simple stuff. Knowing what I wanted to achieve, it’s down to finding out what is available in reality. Luckily, there was a giant octabank available, so I used that as the front light, and a socked beauty dish on the back as rim. Here is a shot of the setup. 85mm is pretty much my go-to lens when shooting with backdrops because of its various benefits. Our exposure settings lingered around F9, 1/200, ISO 200. With everything dialed in and checked, the rest is really just down to directing the cosplayers and composing the shots. The most challenging part of shooting booths in my opinion is the rush. We have maybe 5 minutes to shoot each cosplay, so effective composition and posing direction are extremely important, something photographers can be more lax about when shooting on-location and have ~30-60 minutes to spend with each cosplayer. The good news is, with enough experience one would generally become really good at doing these two simple, yet extremely useful things! For the most part, only simple touch-ups are applied to all of our booth photos. 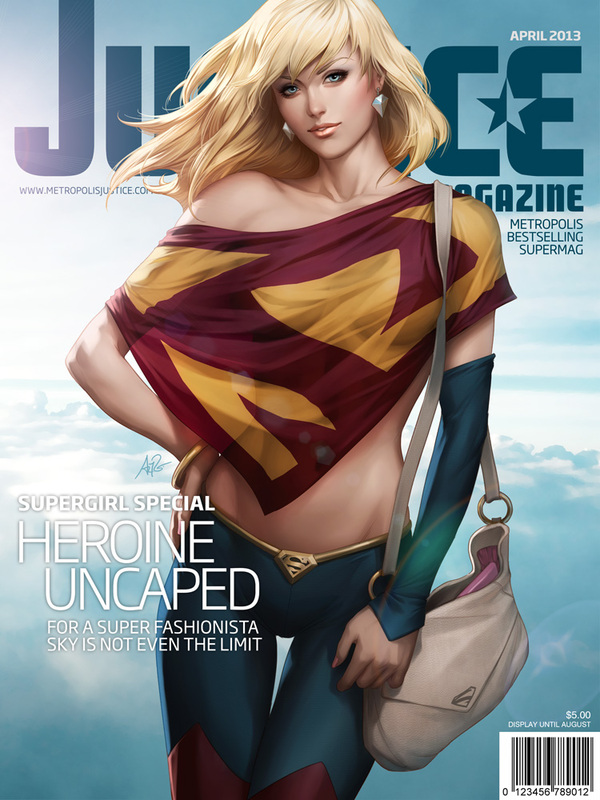 But remember that I mentioned using Artgerm’s artworks as inspiration? Shooting on a backdrop is extremely helpful for compositing. With adequate lighting, I can easily swap the background with something more interesting. 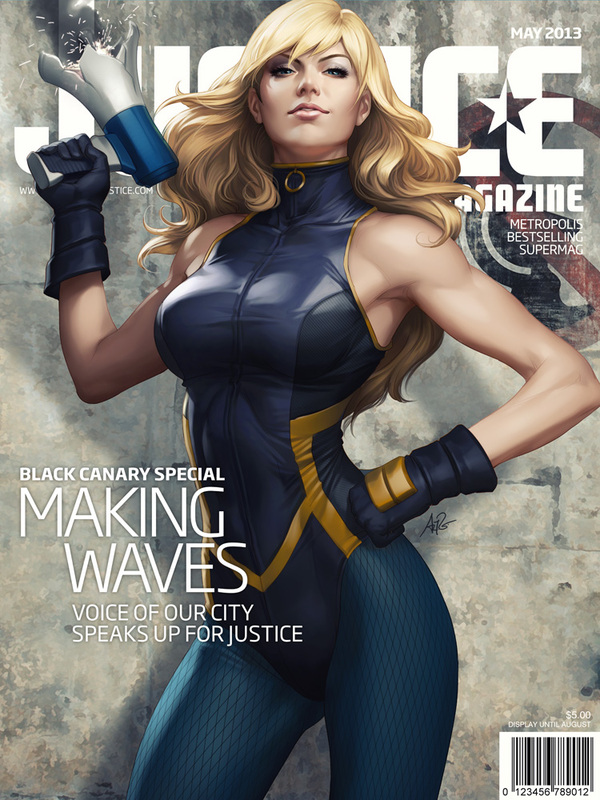 Want a night scene like this cat woman piece? No problem. How about the Dark Knight Rises poster editing? Just add some rain and rocks! With the right lighting on the subject, the possibilities are limitless. In fact, a good chunk of movie posters that you see nowadays are shot with backdrops and composited into something much more dramatic in post. Of course, this requires a certain degree of Photoshop-fu, but the results are sometimes quite rewarding. While shooting on backdrops may seem less exciting at times, it can prove an immensely useful way to create a completely different style of art pieces. Our ambassador Adam Jay’s Superhero project is just one example of how far you can take cosplay photography to with just a simple black backdrop. OT: LMGTFY exists to respond to a dumb/lazy question, it’s a little insulting to use it for a link in an article.